Tribal TANF is a federal and state funded program that provides time-limited assistance to needy families with children in an effort for those children to be cared for in their homes or in the homes of relatives. The Tribal TANF program was created by Native Americans to provide cash aid assistance and supportive services to meet the specific needs of Native American families. Tribal TANF is designed with the flexibility to address and focus on a variety of cultural and traditional needs. 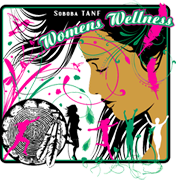 The Soboba Tribal TANF Program (STTP) mission is to assist American Indian families and future generations to reach their fullest potential in securing economic stability while encouraging wellness in the family. 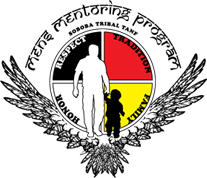 STTP strives to provide welfare related services to all eligible Native American families who meet all STTP requirements in an equitable and fair method according to custom and tradition. 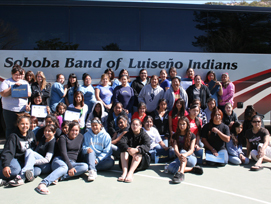 In 2005, The Soboba Band of Luiseño Indians were designated to implement and administer the Tribal TANF program for Indian Families living on the Soboba Indian Reservation and within the City of Riverside. Tribal TANF is a federal and state funded program that provides time-limited assistance to needy families with children in an effort for those children to be cared for in their homes or in the homes of relatives. The Tribal TANF program was created by Native Americans to provide cash aid assistance and supportive services to meet the specific needs of Native American families. Tribal TANF is designed with the flexibility to address and focus on a variety of cultural and traditional needs. As a Sovereign nation, our mission is to assist American Indian families and future generations to reach their fullest potential in securing economic stability while encouraging wellness in the family. Soboba Tribal TANF strives to provide welfare related services to eligible Native American families who meet all STTP requirements in an equitable and fair method according to customs and traditions. "The Soboba Tribal TANF Program (STTP) provides a wide array of services through a holistic approach that supports and assists in breaking down barriers to self-sufficiency. As a result, STTP has continuously exceeded the federally mandated work participation rate, while helping families attain their education and employment goals." "Keeping Native American children and their families together is one of the best achievements of the tribal TANF program. Parents and relative caretakers who qualify for TANF assistance and services can participate in education and training, cultural workshops, counseling, career assessments and development in an empowering atmosphere. 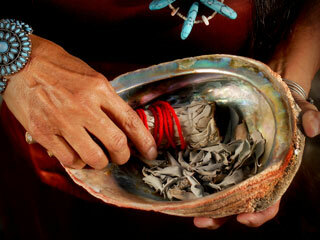 STTP is a great resource for the Native American community." Another key to the program's success is continuously educating and training staff, which ensures that everyone from the direct line staff to administrators understands the program's goals, policies, procedures, and requirements.